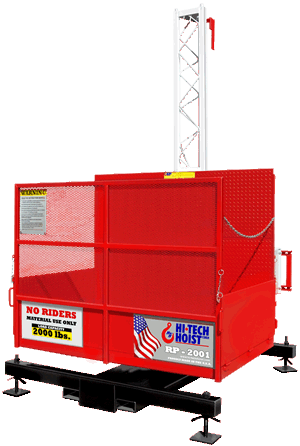 Superior carries material hoists for every trade and project. 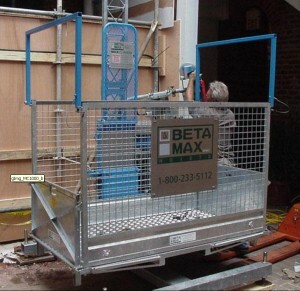 Superior Scaffold is proud to carry the entire Beta Max line of portable wire rope hoist models. They are the safest way to move 200 to 2000 lbs. of materials to virtually any job level (up to 400 ft). 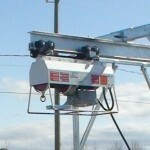 Beta Max high speed wire rope hoists combine easy, flexible setups with fast, safe material delivery. No matter if you’re working at 40 feet or 400′, contractors and subs consistently report 15%-30% productivity gains using our hoists. 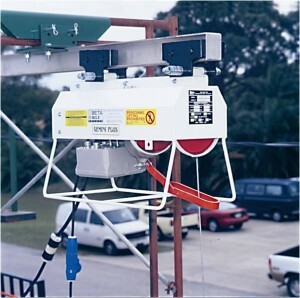 Up limit switch stops the hoist instantly when load reaches the top. Non-rotating wire rope keeps the loads from spinning. Fail safe brake, all loads are powered up and down, no free-falling even in the event of a power loss. Rugged & dependable electrical controller with overload sensing device to protect your hoist from damage. Twist lock power connections prevent the power cords from being accidentally kicked or knocked loose. Go from ground to placement of material in one go. 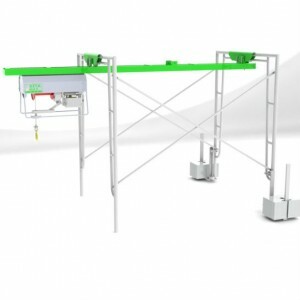 With hoist setup options like our I-beam trolley system, you eliminate time spent rigging and re-rigging materials. Our wireless remote system transfers control of the hoist from ground to work level giving the closest person control when they need it – Glazing companies have doubled production by combining our I-beam trolley system with our wireless remotes. I-Beam Trolley: This most flexible and versatile mounting system is used with all of our large capacity hoists. 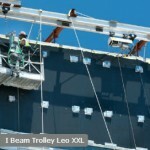 The addition of a rolling I-Beam Trolley Top allows many Beta Max Hoists to adapt to existing I-Beams. 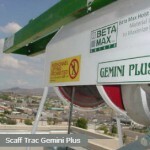 If the horizontal trolley is not necessary Beta Max offer a Fixed I-Beam Top which firmly holds the hoist stationary on the I-Beam. Scaf Trac: Our most populer mounting system attaches in minutes, with no tools, to existing scaffolding and is used with all Beta Max hoists. Unlimited system lenths are available using add-on 7ft. Scaff-Trac extensions. 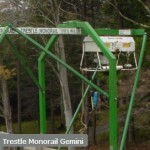 Trestle Monorail: The trestle monorail is easily installed for between-the-floor or rooftop lifting, but must be properly counterbalanced. The system provides an outward cantilever of 3.5 feet. 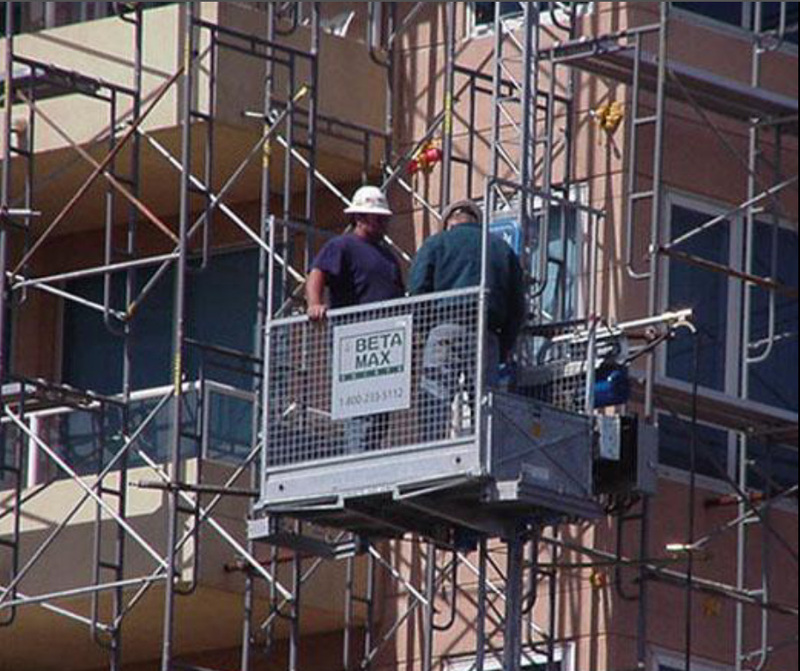 Call Superior Scaffold at (215) 743-2200 to see which hoist best suits your needs. 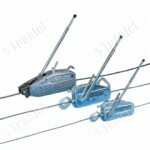 HTH Portable Cable Hoists are commonly used in conjunction with scaffolding or roof construction. 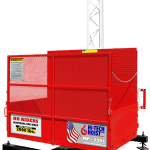 Patriot hoists are designed to withstand harsh outside environments commonly found on construction sites. 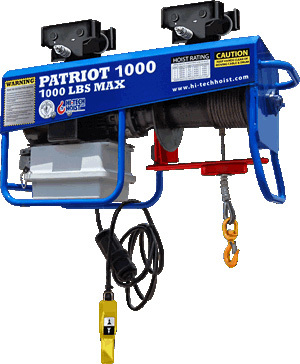 The Patriot Series hoists material by utilizing a continuous duty cycle fail-safe brake motor coupled with a unique Cyclo-Drive gear reducer. This patented gear reducer provides a 95% efficiency; far better than regular planetary gear boxes. Dual speed operation is controlled by a low voltage (24vdc) pendant connected to a programmable logic drive. This provides smooth acceleration and deceleration which protects your valuable material and tools. 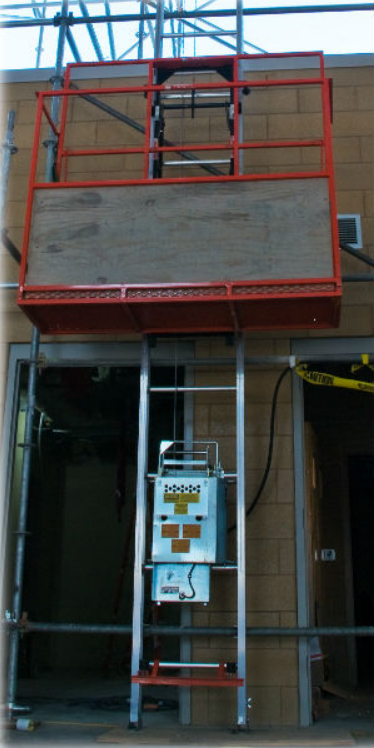 This 2,000 lbs capacity platform material hoist is used in many fields of construction to easily and safely move materials and tools between levels at a construction site. With its 90 degree pivoting platform, workers can easily rotate the platform to offer multiple unloading configurations. Redundant safety features provide peace of mind on the job site. Proximity switches monitor key locations and lock the unit from operating until the unit is safe to move. These switches are non-mechanical, completely waterproof and tamper proof providing the best in reliability and longevity. The RP-2001 utilizes a rack & pinion drive system which provides the simplest, most reliable and safest operation. Steel construction is finished with a durable powder coating to resist outdoor elements. Fail-safe electric brakes lock the machine in position in the event of a power failure. Personnel and Material Access For Any Job. Easy setup is perfect for temporary events and construction sites. All Beta Max Hoist Systems meet or exceed ANSI & OSHA specifications. NOTE: MX1000 is for material transport only, except during installation & dismantlement. The Maxial Track Scaffold Hoist is the safest, fastest, scaffold delivery system available and is your key to winning the best scaffold projects you bid on this year. 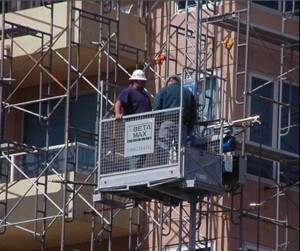 The Maxial Track is designed specifically for the unique demands of scaffold erection. It’s Flexible enough to work with any modern scaffold system – even has a narrow track option for industrial boiler maintenance. Baskets are built for scaffold which means no delays securing pieces for transport and no falling parts. No separate setups, no additional space or tools required. Simply bring up a piece of Maxial Track with your scaffold and add as needed. 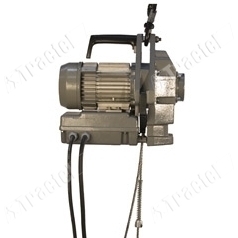 Along those same lines is the extremely versatile Tractel Minifor portable motorized wire rope winch. They can lift or pull loads across great distances without exceeding their maximum torque. They are operated through a push button control pendant. 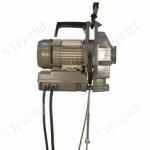 Some Minifor™ hoist models can also be equipped with a cable reel device and/or a wireless remote control. Portable hoist to lift and pull loads, for utilization in numerous applications. The Griphoist® is a portable manual hoist with traversing wire rope. They can lift, pull and place loads across great distances without exceeding their maximum working load limit. These lever operated wire rope hoists are suitable for use in numerous applications and are the ideal solution for professionals. An outstanding option of the Griphoist® hoist is that load capacity of the device can be increased with a sheave block.